It’s never too early to start planning for Christmas. In my house, I start at the Boxing Day sales, buying heavily marked down decorations, cards and Christmas paper that I carefully store until the next Christmas, which inevitably sees me buying all of the above at full price because I’ve forgotten where I put all of last year’s bargains. And even armed with knowledge of my own incompetence, I’ll battle my way through the Boxing Day mania to secure those knock-down prices again. I actually love Christmas. I love planning a gorgeous meal. I love making a list, checking it twice and shopping for my family and friends. What I don’t love at all those unplanned gifts that need to be hurriedly sourced just as long-lost Aunt Mabel wanders through the door for one of her spontaneous visits. Or the planned gifts for people that although you see them every day, you realise you really don’t know much about them …. like childcare workers (hello Gaga* – I know you’re reading!). They admittedly do an amazing job of raising our children, and yet I never know what to give them as a thank you for the all the nappies and tantrums that I didn’t have to deal with (well, of course, my … cough … perfect child … cough … neither poops nor tantrums). And as for the old standby, I mean how many boxes of chocolate can one woman eat? (It’s a rhetorical question, ladies. We all know the answer is infinity). So for these hard to plan for recipients, I have put together a list of easy handmade items that will look as though you have carefully and lovingly created each one with just them in mind…. because, well, you have. And if you want more ideas, check out Pinterest for a tonne of impossible crafts. For dog lovers – healthy homemade dog treats! I love making dog biscuits and the dog owners I know love them too! Cut them out with a bone cookie cutter and bundle them together with a lovely ribbon or even a chew toy for decoration. Just be sure to stay away from chocolate and other human treats (such as raisins, macadamias, dairy, onion) that are either toxic for dogs or at least make them very ill. Here are some recipes. 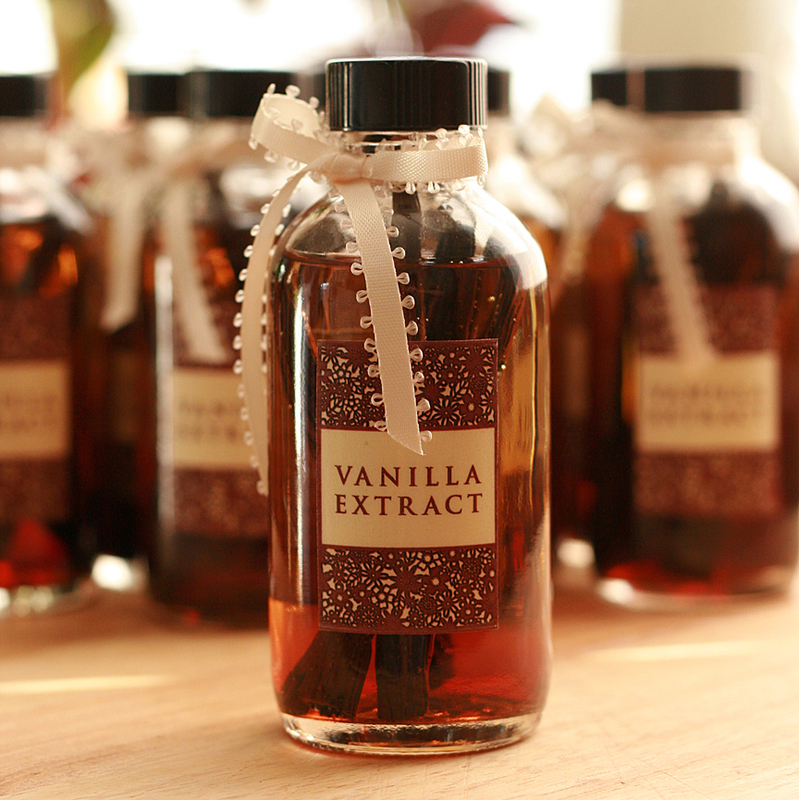 For friends who love to bake, what better than homemade vanilla extract? It’s easier to make than you might imagine, but it does require time to cure so plan to make this at least six weeks before the date of the gift exchange, or note on the label when it will be ready to use. For friends who love to bake, but who are a little bit crap at it, why not give them cake, brownies, biscuits or bread in a jar? This idea has been around for years now, and it’s little more than measuring out dry ingredients and layering them in a clear jar with “how to” recipe on a label or attached on a ribbon. Actually, the “in a jar” trend has expanded to include all kinds of culinary delights, so let your imagination run wild. Or whip up some Cajun or Jamaican Jerk Spice mix, custom curry powders, and so on. 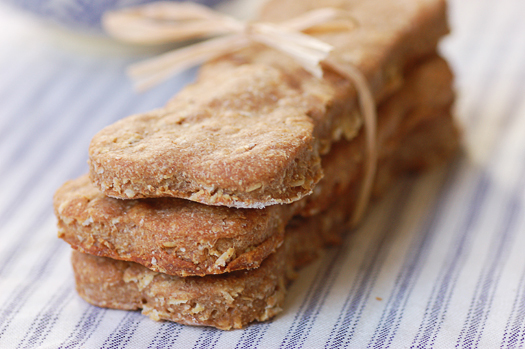 Feel free to make this Chai Spice Oatmeal Cookie for Champagne Carolyn! Luxurious salt and sugar scrubs don’t need to cost the earth. Make up a huge batch of the base and then use essential oils to customise a jar for each friend. 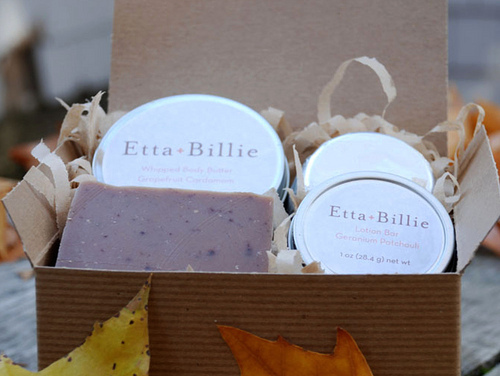 Alternatively, you can make bath bombs., lip balm, scented massage oil, body butter or soap. 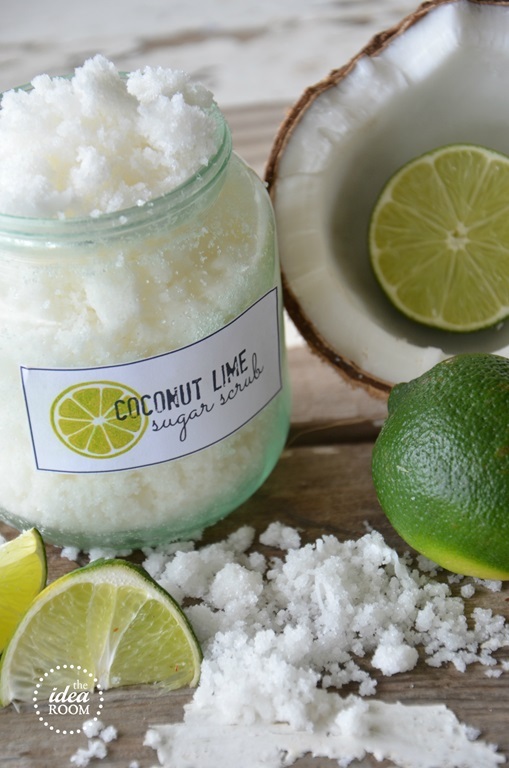 Check out Cheap Crafty Mama for a range of homemade bath and beauty items or The Idea Room for the luscious coconut lime sugar scrub pictured above. Homemade sweets always go down a treat. Honeycomb, rockyroad (yes, Gaga*, I’ll make it again for you this year), fudge, truffles, peppermint bark – anything! Present these in a keepsake tin, covered box (see below) or wrapped in cellophane. 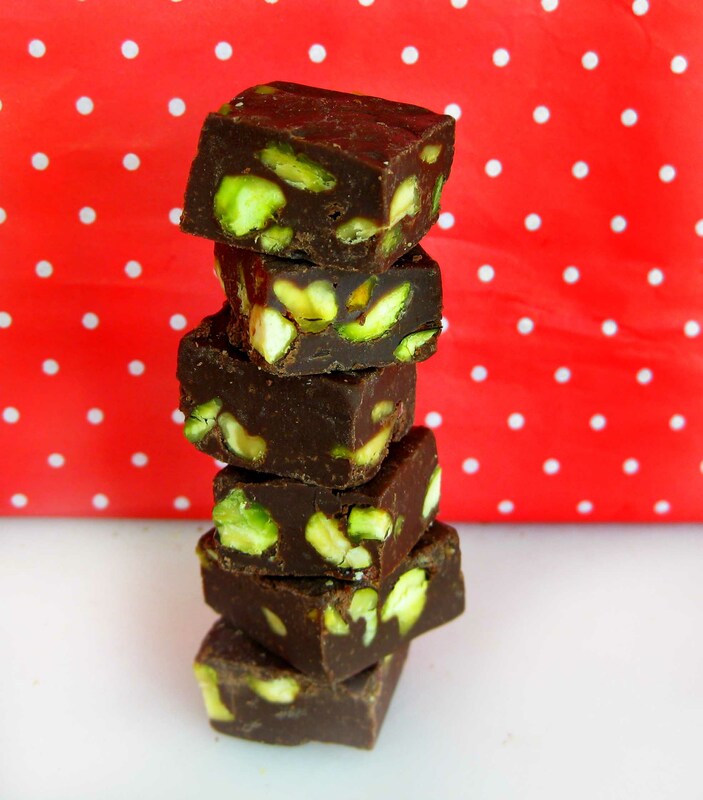 Try this citrus lemon fudge for something a little different. 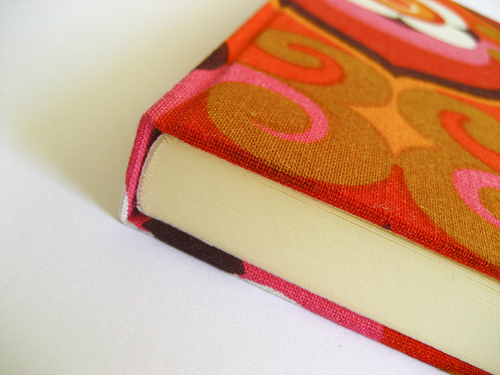 Covered notebooks are a gorgeous way to upcycle a simple diary or recipe book. Use fabric or paper to personalise your creation to suit the recipient or the theme of the notebook. You can also cover boxes to hold some of the other gifts made here. Baking hamper: In a silicon or non-stick baking tin or decorative mixing bowl, add some colourful oven mitts, chocolate chips, decorations, a bottle of your vanilla essence, cupcake wrappers, some of your favourite recipes handwritten on cards and a spatula, whisk or wooden spoon. Bread hamper: again, use a silicon or non-stick baking tin or decorative mixing bowl, add small packets of yeast, a pack of speciality flour, seeds and nuts, dried fruit, dried herbs, oven mitts and a tea towel. Indulgent hamper: A pair of champagne flutes, a bottle of the bubbly, Baci or Lindt chocolates, scented massage oil and a “I promise to babysit the kids so you can enjoy this” voucher! Italian hamper: a pack or two of fancy dried pasta from the deli, some yummy tomato sauce (homemade or bought), a bottle of red wine, some red and white checked serviettes, a jar of marinated olives, artichokes or other antipasti, breadsticks and a wedge of parmesan cheese. Christmas survival hamper: shortbread, crackers, cheese, dips (preferably homemade), olives, sparking wine, homemade mayonnaise, speculaas cookies, individual Christmas cake/pudding, mince pies. Spa hamper: a nice hand towel can form the base, add some of your homemade scrubs and bath bombs, champagne, a loofah, and scented candles. 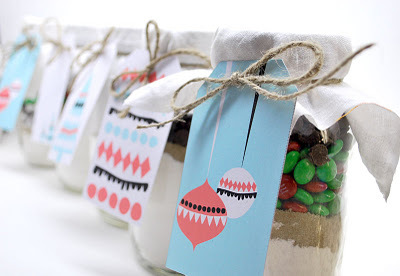 To each of the hampers add a cheerful Christmas decoration and two crackers. Other hamper ideas include a gardener’s hamper, Mexican fiesta, tea/coffee lovers, herbs and spices – the variations are endless. This list wouldn’t be complete without my Mum’s (and now my sister’s) old standby – Brandied Fruit. Where the recipe came from, I have no idea, but my mum was famed for her rich purply, fruity concoction that found its perfect match in vanilla icecream. We’d collect jars all year long and then spend a memorable day making up the mix before leaving it to steep for a few weeks. What are your favourite handmade gifts? Add your suggestions and links below! *Gaga is one of my son’s carers at crèche. “Gaga” is of course not her real name, but rather the nickname he’s has given her. And no, she bears no resemblance to Lady Gaga – thankfully! What an inspiration! Each year I try and mostly fail to pull off homemade gifts. Somethings goes awry with packaging or presentation and I am always found rushing around for the perfect solution. Homemade gifts are what makes christmas so special – a real sharing. I cant wait to try some of these ideas. Thanks Champagne Tara!